Faithful reader, commenter, furniture buyer, and friend Leslie from Arizona painted watercolors of the two ugly roomers we keep here in the house and call Unorganized Hancock. My gosh, they're marvelous. 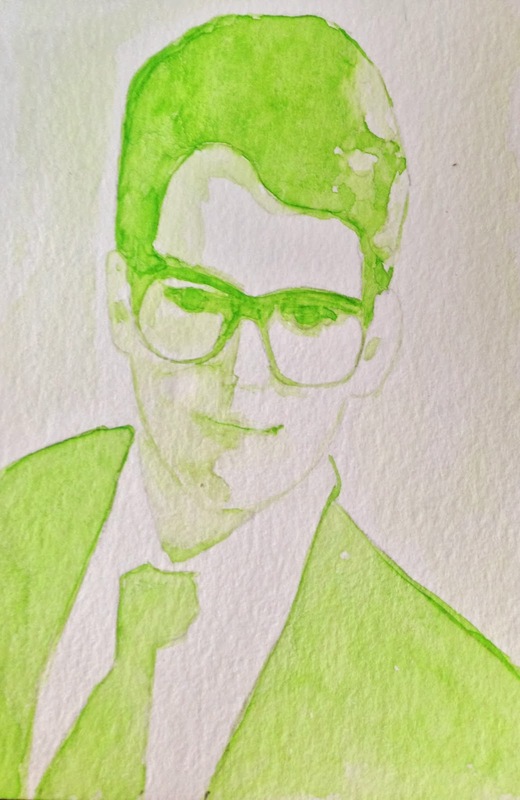 I understand that many people paint in watercolors, but of course we know that it's impossible to paint in watercolors. Can't be done. I don't know how Leslie does it. I always stuck to acrylics and oil paint, so I could paint the trim on the house when the daubs on the canvas went south. I'd only paint a rental property with watercolors, and I don't have any rental property, so I'd never even attempt a watercolor painting. I'm profoundly grateful to everyone that reads, and comments, and links here, and hits our tip jars, and uses our Amazon links, and purchases furniture from my little online shop, and sends us the occasional treasure. The Sippicans love you all! Leslie is not only talented, but generous. The soul of an artist is that. Lovely! And to imagine doing this in the first place, GENIUS!!! Those are gorgeous! Of course, it helps to have good-looking models to work from. Wow. How precious a gift is that!!!! 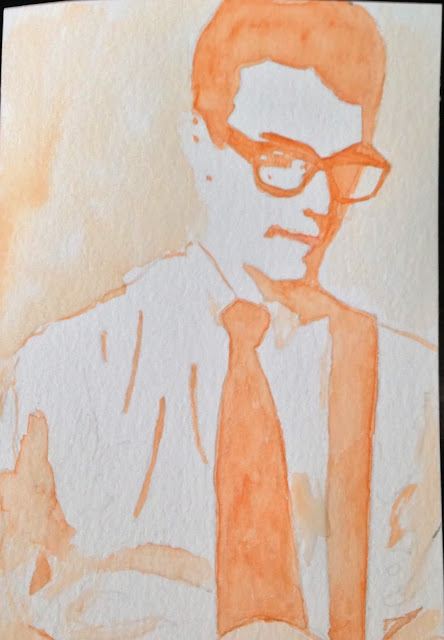 Your subject reminds me of Buddy Holly in those watercolors, but that's just me. I've missed stopping by; I've been on a type of hiatus. Thank you, CK, you would know. Thanks Sipp, they were fun to do, and I am humbled to be here. naturally no museum these days would take them since you can tell what they're supposed to be. I thought the "heir" looked like Buddy Holly as well.